By LUDWIG VON KOOPA - This'll be on KoopaTV's second CD. I am a prolific writer on KoopaTV, yeah, but I'm also the (...well, one of several) prince of Koopa Kingdom. With that comes RESPONSIBILITIES. So I'm going to let you in on some of what that involves. ...KoopaTV helped make those responsibilities hard. And then I became a character in Mario Kart 8 and Super Smash Bros. 4, so I gotta keep making appearances with that! Go past the jump break and sing along here. 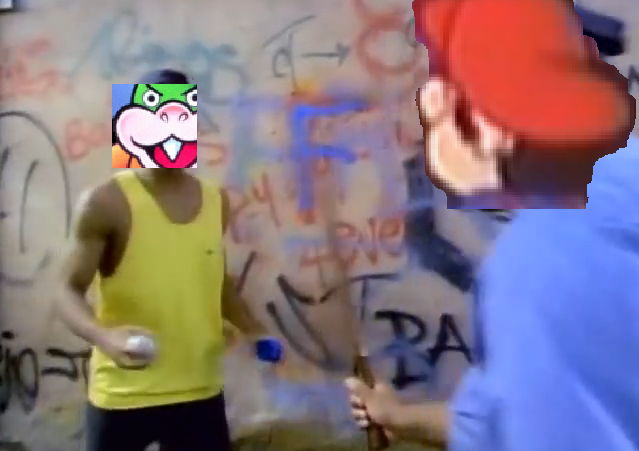 I'll tell you how I became the star of KoopaTV! And said, "You're movin' with your siblings to KoopaTV"
Is this what traffic to KoopaTV would be like? 'cause hey Google, take a hike! Is this the type of place that they should send this cool Koop? I yelled to Verizon, "Thanks for the valet"
Blame the Requests section of the site for this. You can buy our first CD at the KoopaTV Store here. For more KoopaTV lyrics, check out our version of "Baby It's Cold Outside"! Three years later, Ludwig declares parodying the Fresh Prince of Bel-Air to be cultural appropriation.